Playing casino poker is quite different from playing in a home game. There are certain procedures and protocols you will need to understand before you sit down to play. Here are ten tips to help you play like a pro. In a casino, you don't just walk up to a table and sit down. When you enter the ​poker room you must sign in at the desk. You tell the host what game you are interested in playing. If there is an opening you will be seated immediately. If the table is full they will take your initials and call you when there is an opening. Some casinos have a large board where they will write your name or initials or they will write your name on a list. Either way, you will be called when it is your turn. When your name is called the Poker room host will show you to your table. In some rooms, the host will ask you how much you would like to buy in for and get you your chips when you are seated. At other casinos, you will purchase the chips from the dealer when you sit down. You are allowed to bring chips from other games. 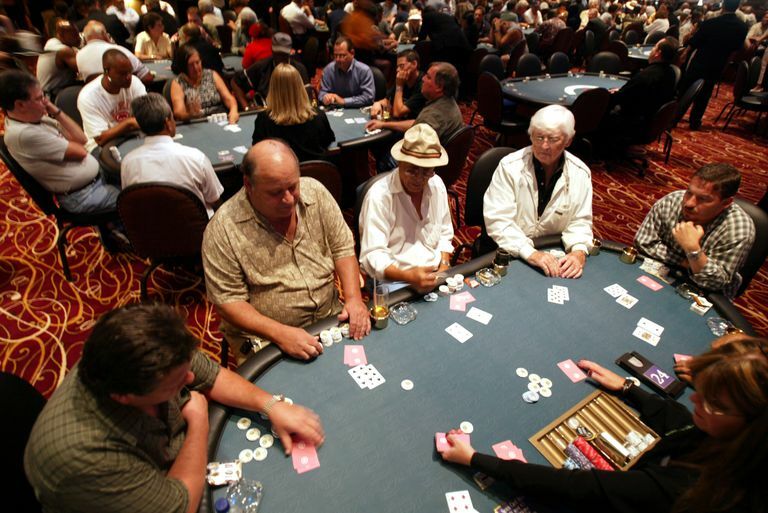 All games have a minimum buy-in which for most low limit games is usually around $30. In casino poker, ​you play for table stakes. This means that you play with the chips that you have on the table. You’re not allowed to go into your pocket for more money in the middle of a hand. If you run out of chips you announce that you are “All IN” and you will only be eligible for the money in that pot up to that point. Any additional bets made by others will be put in a side pot. You will not be eligible for this pot even if you have the best hand. 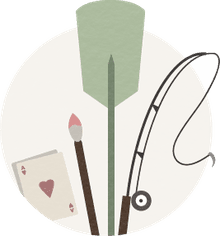 Once in the game, you want to observe proper table etiquette and be careful not to make any of the common beginner mistakes. Here are a few of the common mistakes made by new players when they sit down to play casino poker for the first time. You must wait until the player to your right acts. If you bet out of turn this could give an unfair advantage to a player that did not act yet. If you raise out of turn a player that might have called could fold. Or if you fold out of turn you are giving an advantage to the player on your right who now knows you won’t raise. If you are going to raise you should announce “raise” when it is your turn. If you don’t announce a raise, you must put the bet and the raise in at the same time. If you put in the bet and then go back to your stack for the raise you can be called for a “string bet” which is not allowed and your raise will not be honored. You have to know what the bet is when it is your turn. You must pay attention to ​the amount of the bet made by the first active player. Then you must be aware if the bet was raised. Sometimes if the player does not like the next card dealt he will immediately fold when it is his turn. If you are first to act you can check. If everyone else checks, you get to see the next card for free. The same is true if everyone checks before it is your turn, you should also check instead of folding your cards. The free card may just make your hand. Place your bet in front of you. This way the dealer sees that your bet is correct. He will scoop them into the pot. You don’t throw them into the pot like you would at home. The cards speak for themselves. Don’t immediately throw in your cards if someone calls out a better hand. The dealer will declare the winner of the hand. Sometimes you may have a better hand than you thought you had. There is also the possibility that the player calling his winning hand has misread his own hand. Let the dealer declare the winner before mucking (throwing way) your hand. Keep your emotions in check. The table is not the place for foul language of temper tantrums. It will not be tolerated. Besides, it makes you look foolish. Veteran players, as well as newcomers, make this mistake. It is one that should not be made by anyone! Many players crave the action. They feel that if they are not involved in the hand they aren’t really playing the game. Successful players play fewer hands. It takes patience and discipline to wait until you have a proper starting hand. If you can practice these traits, you will be on your way to becoming a winning player. Playing winning poker takes concentration. You must be aware of the game and people around you. If you play too long you may get tired or even bored. This can cause you to make mistakes or play marginal hands. If you start to get tired leave the game.